Darci's Affair Wins the Coffs Harbour Gold Cup! Bede Strikes Gold With Yet Another Provincial Series Champion! Chief In Command Wins Mollymook Cup! Sure and Fast Wins Provincial Championship Series Final! Darci Magic and O'Reilly's Revenge Qualify for Provincial Championships! Sure and Fast Qualifies for The Championships! 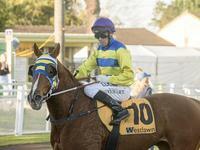 Three Wins at Wagga Town Plate Day! Four Out Of Five Ain't Bad! Ephoral Makes It Two Out Of Two This Prep! Chosen Song Scores Inglis Bonus!